Facebook Arm Tatoo Of 152 Friends Is A Hoax!! 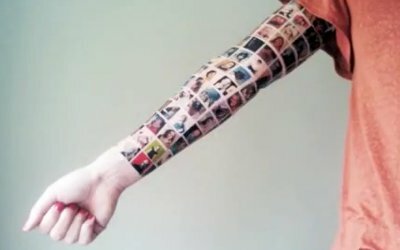 The one-of-a-kind tatoo that depicts 152 Facebook photos was originally described as a process that took two weeks to create. When the video, originally uploaded on May 30, entitled “My Social Tatoo” was released, it went viral all across the globe, receiving nearly 1.5 million viewers. Upon seeing the minute and a half short, many probably wondered what kind of narcotic, the unidentified woman, whose arm was being tatooed, was on!